For a long time I’ve wanted to share my new lampshades I made with you, but for one reason or another, I just haven’t done it. 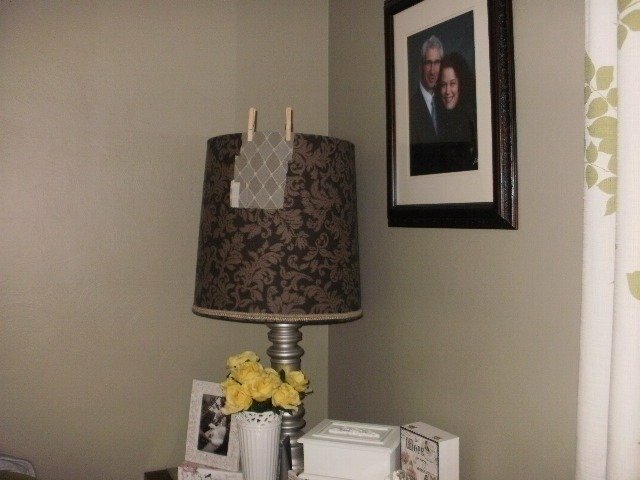 About three years ago, I did a lampshade makeover that I shared on my old blog, and it was really very easy to do. I loved the brown fabric I used before on them, but since changing the paint color, the curtains and the furniture in the living room, the color of the shades just seemed a little off. They were just too dark for lighter, brighter room. So I decided to redo them again. I used clothes pins to hold the fabric swatch to the lampshade to see if I liked it. Here you can see where I was trying out the new fabric to see if I liked it. You can’t see it in the picture, but there are four little yellow dots where each diamond connects. On the back side of the fabric there are yellow strings that go across the center of the diamonds to add those four yellow dots. Since I didn’t want stripes showing when the light was on, I cut off all of these strings. That was probably the hardest part of the whole project! Anyway… Here’s what they look like now! They’re much more subdued than the brown ones. They kind of blend in with the wall color, which actually makes the room feel bigger. Ta-da! A brand new look! I thought it might be fun to show you the progression of how much these lamps have changed. Looking at the progression, I still love the brown shades, but they just didn’t work in the room after I repainted. But the nice thing is, if I get tired of the new look, I can always change them again. Although, I don’t image that will happen until I redecorate again. I hated these lamps when I first moved into Jim’s house. They were chunky and ugly, and at the time, they had mismatched shades on them. (I should have taken pictures of them with the wrong shades!) When I found matching blue drum shades at Goodwill for $3 each, which would go with Jim’s ugly blue recliner, I snatched them up, because lampshades are soooo expensive! There are instructions all over the internet for covering lampshades, so I’m not going to go into the process. I just wanted to share the new look with you. Considering how expensive lampshades are, I could have spent hundreds of dollars getting new. But I still haven’t spent even $100, even though I’ve changed the look twice! Well worth the effort! Have you ever done anything like this? I’d love to see the results! This is one of my favorite DIY makeovers. I'll probably do this over and over to these lampshades as long as I use these lamps. 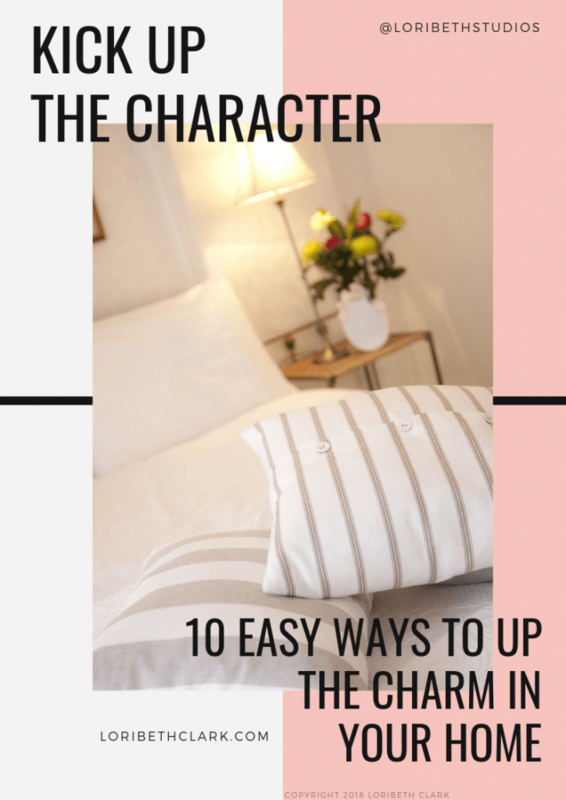 It really is easy to do, and it gives the lamps a new custom look without the expense of new lampshades!